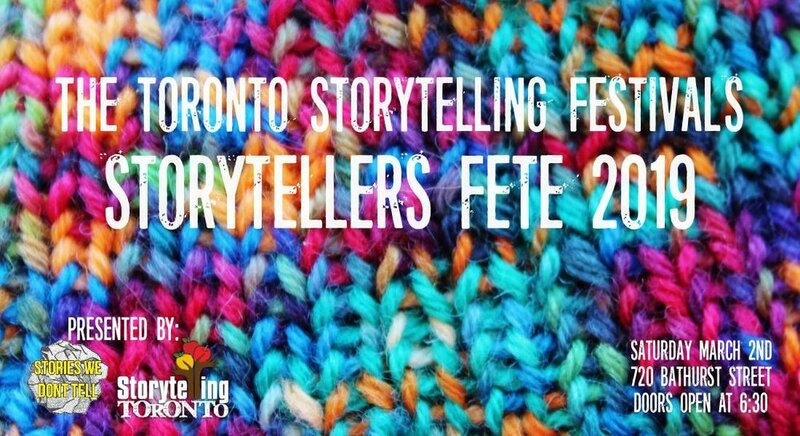 Toronto has an absolutely amazing and incredibly diverse storytelling scene, and in celebration of this we're throwing it a party! This evening will feature stories from some of the city’s favourite tellers, followed by a chance to share a drink, a laugh and good cheer. Join us for an evening that will cover a wide range of stories and feature some amazing performers. The Fête celebrates the long history of how stories have been told for a night you won’t forget. Paul Aflalo is a storyteller and documentary producer. He creates narrative-driven pieces for film, radio and podcasts. His work has been featured at film festivals around the world and he is currently working on an audio documentary about Aphantasia, people who have no sensory memory and imagination. He is the artistic director of Confabulation Toronto, an all true storytelling series. Dan Yashinsky started 1001 Friday Nights of Storytelling in 1978 and the Toronto Storytelling Festival in 1979. He works as the storyteller-in-residence at Baycrest. He is co-writing a feature comedy with his son Natty Zavitz called Lost Rivers of Toronto. Robbie Ahmed is a writer, songwriter and presenter. Growing up in four countries, Russia, Saudi Arabia, Bangladesh and now Canada, he writes and sings about his journey in discovering what home, happiness, and healing means in the context of diasporic identity. Currently he is a writing fellow for Nuance, a digital publication for 1st and 2nd gen immigrant youth, and is part of WAYF (Where are you from Collective), an arts-activism based program for Pan-Asian identified youth and artists. Emily Wright is a talented educator, advocate and public speaker who dedicates her life to creating change within her community. Emily is a member of the Eva’s Speaker’s Bureau, the United Way Speaker’s Bureau, and is a regular guest lecturer at public and private schools across the city. Emily speaks on a variety of topics including; homelessness, housing, mental health, addiction, education and inclusion. Currently, Emily is in her last year of the Masters of Teaching program at the University of Toronto. Coproduced by the 2019 Toronto Storytelling Festival and the Stories We Don't Tell.